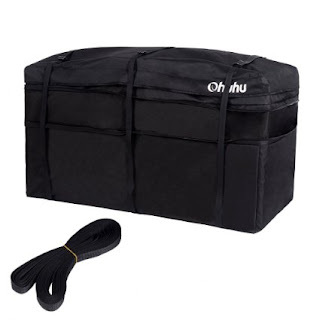 Ohuhu's Expandable Hitch Tray Cargo Bag is perfect for travel! Ohuhu's Expandable Hitch Tray Cargo Bag is large enough to fit everything you need to take on your next trip. Ohuhu's Expandable Hitch Tray Cargo Bag comes with 6 6 reinforced straps for optimal and secure attachment to keep it in place while driving. I also love that it's rainproof and fireproof. Rainproof is great because most long distance trips you end up driving through some rain. The zip closure allows the bag to expand just like expandable luggage which is great because it collapses making it easy for storage when it's not in use. Ohuhu's Expandable Hitch Tray Cargo Bag is the perfect cargo bag to take on the go! 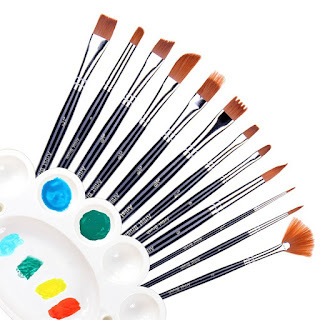 Ohuhu 12pcs Nylon Hair Art Paint Brush Set for Watercolor, Acrylics and Oil Painting is a terrific set! I love that none of the nylon hairs come loose during use. I also love that the hairs are strong enough to be cleaned after use without them falling apart. Ohuhu 12pcs Nylon Hair Art Paint Brush Set comes with 12 brushes of various sizes allowing you to paint with ease. I also really like that this brush set won't rust. Ohuhu 12pcs Nylon Hair Art Paint Brush Set holds paint well and is the perfect set for both beginners and professionals alike! Ohuhu's Fiesta Colorful Paper Fans are absolutely stunning! I've been house hunting for about the last year and I've seen so many kids rooms decorated with paper fans like these in model homes. 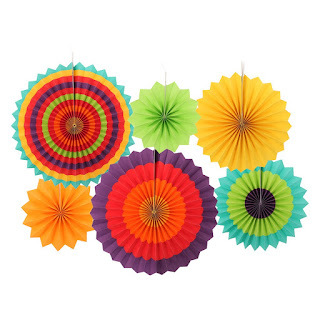 Ohuhu's Fiesta Colorful Paper Fans are perfect for decorating for weddings, birthdays or for everyday decoration. I placed these in my kids rooms and hung them up in the corner and they looked incredible. My kids love having their rooms decorated with these and I think they look pretty classy. The colors are bright and beautiful and since they fold up you can use them over and over again. I love these Ohuhu's Fiesta Colorful Paper Fans and highly recommend them for decorating!